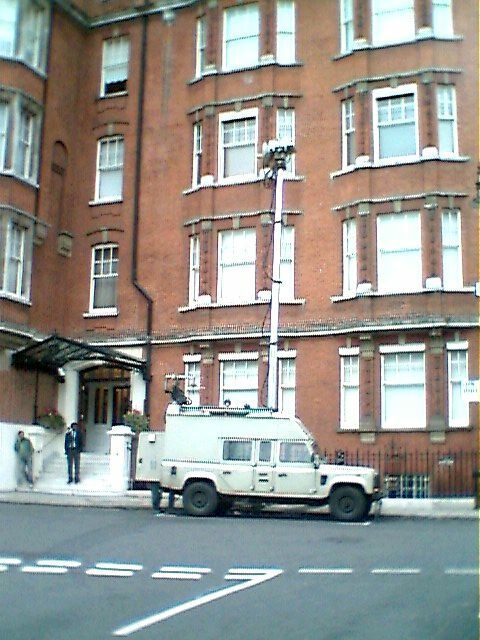 Preparations for the arrival of the pretender to the throne. 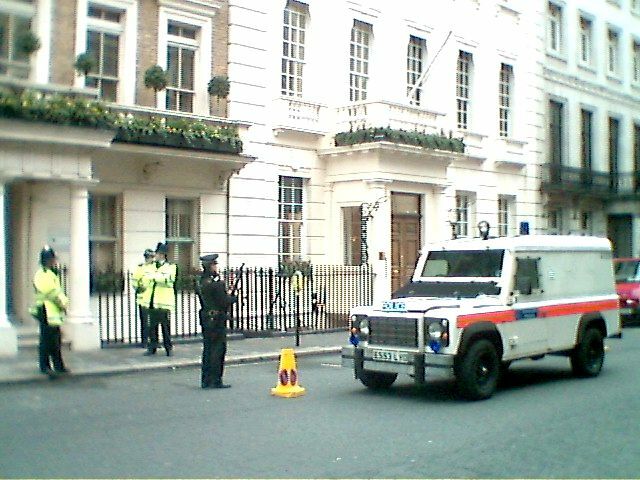 Armed police checkpoint in Grosvenor Square. 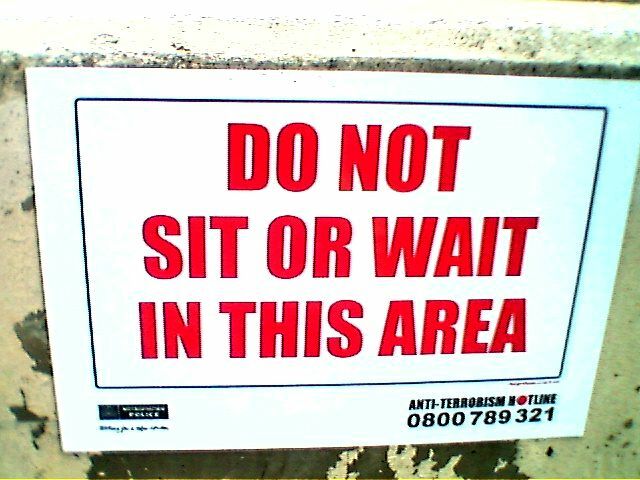 Warning notice outside the American Embassy. 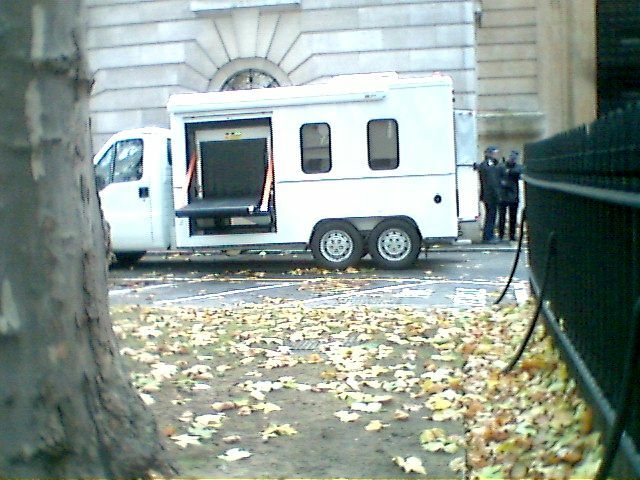 X-Ray machine at Buckingham Palace. Unidentified vehicle, Farm Street, Mayfair.